Sen. Cory Booker (D-NJ) told New York magazine that it would be “irresponsible” of him not to consider a 2020 presidential run. "Of course the presidency will be something I consider. It would be irresponsible not to," he said in the glowing profile that was published Wednesday. Booker received a lot of criticism last month when he made a big show of releasing committee classified documents related to Supreme Court nominee Judge Brett Kavanaugh’s time as a lawyer in the George W. Bush White House. "I understand the penalty comes with potential ousting from the Senate," Booker said at the time. "This is about the closest I'll probably ever have in my life to an ‘I am Spartacus' moment." However, the Washington Post later confirmed that the documents had already been cleared for release and the records representative was “surprised to learn about Senator Booker’s histrionics.” The documents also simply showed that Kavanaugh was against racial profiling in the aftermath of 9/11. Booker was roundly mocked for his theatrics, including by Supreme Court Justice Clarence Thomas. 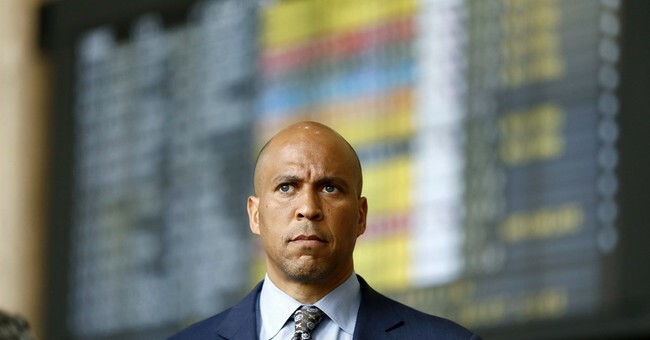 Booker informed a Wall Street Journal reporter who tried to question him about the incident that he was “violating the Constitution” by attempting to question him while he was on the way to a vote.